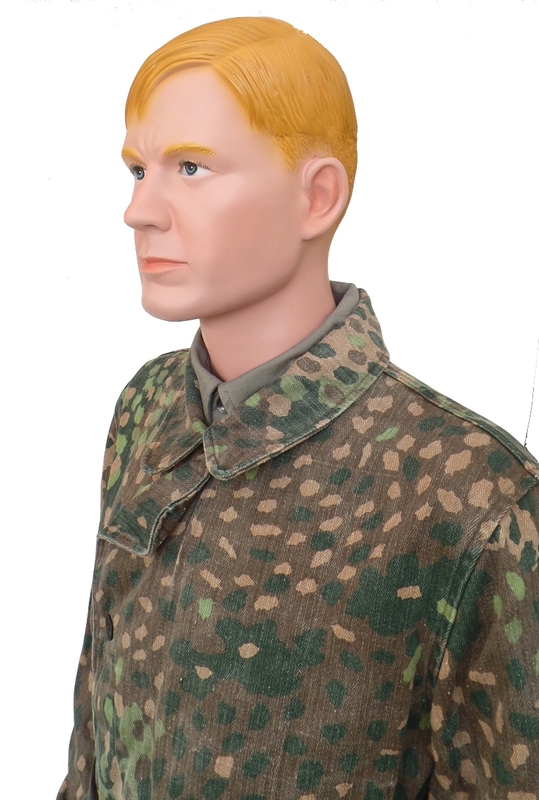 AVAILABLE AGAIN END JUNE 2019. 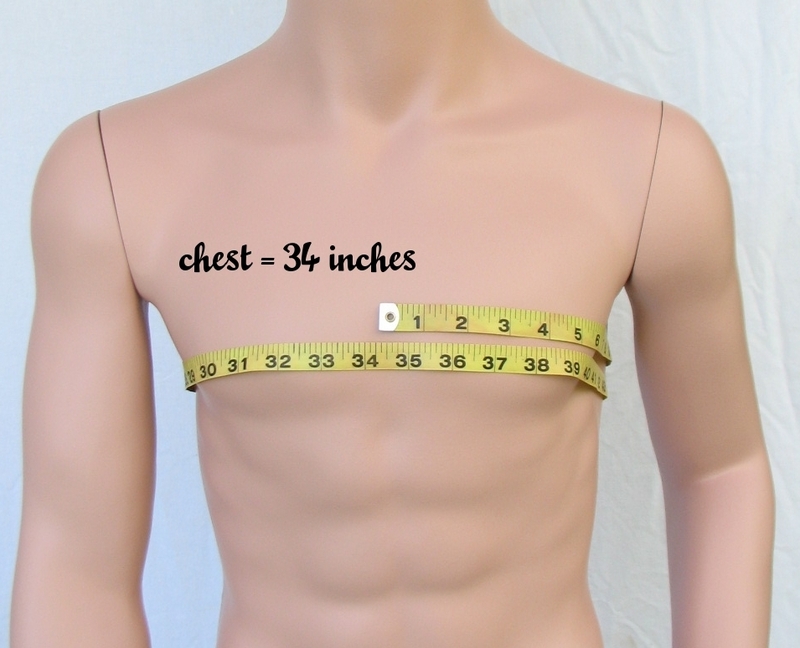 CLICK ON ADD TO CART TO BACKORDER NOW. 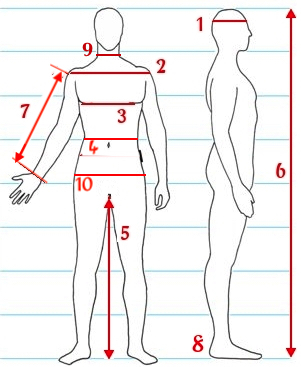 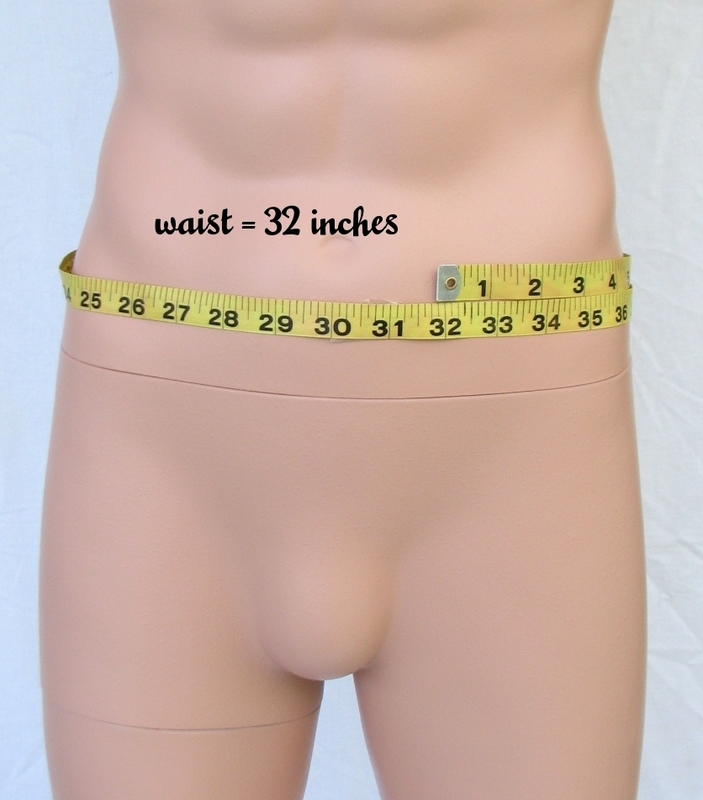 Developed and patented by Yanks Mannequins, the MDP16-CB model has been specially developed to fit vintage uniforms and costumes, particularly regarding the height, the shoulder width, and the waist, thigh and calves circumferences. 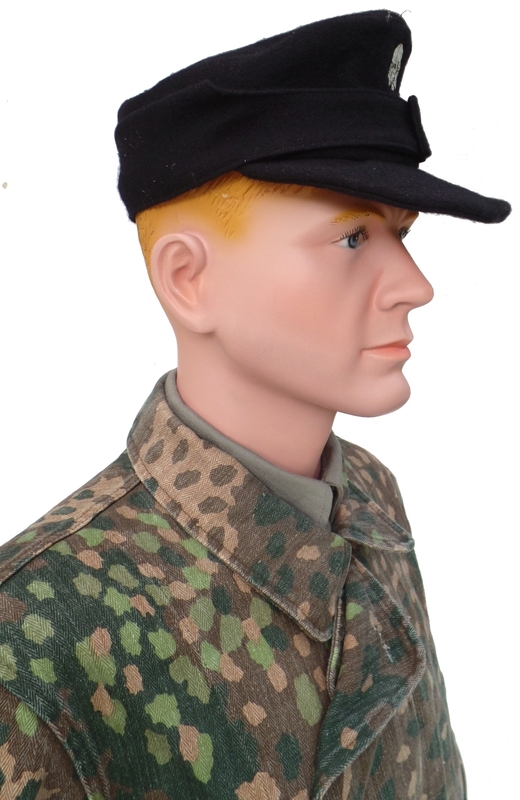 The MDP16-CB has blond molded hair. 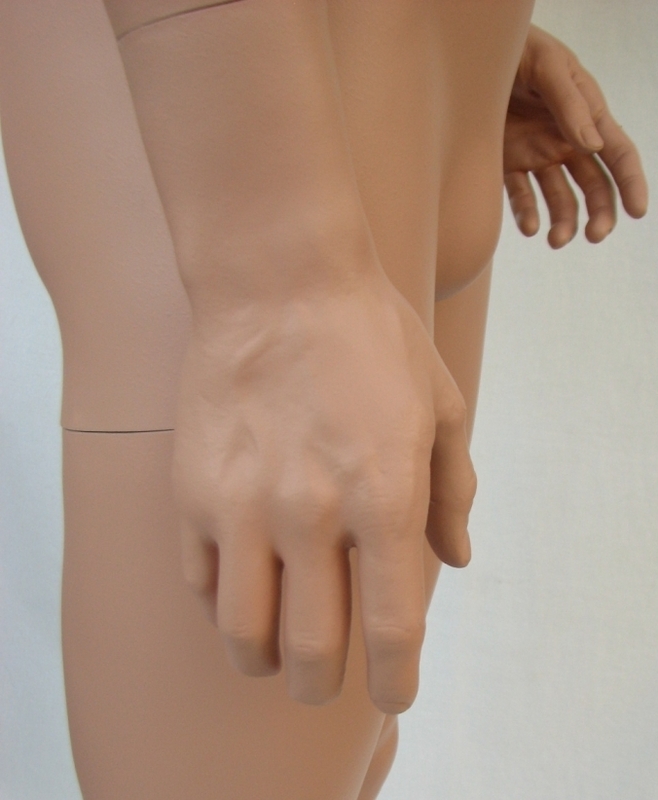 The pose is slightly different for this mannequin, the left leg being slightly bended at the knee. 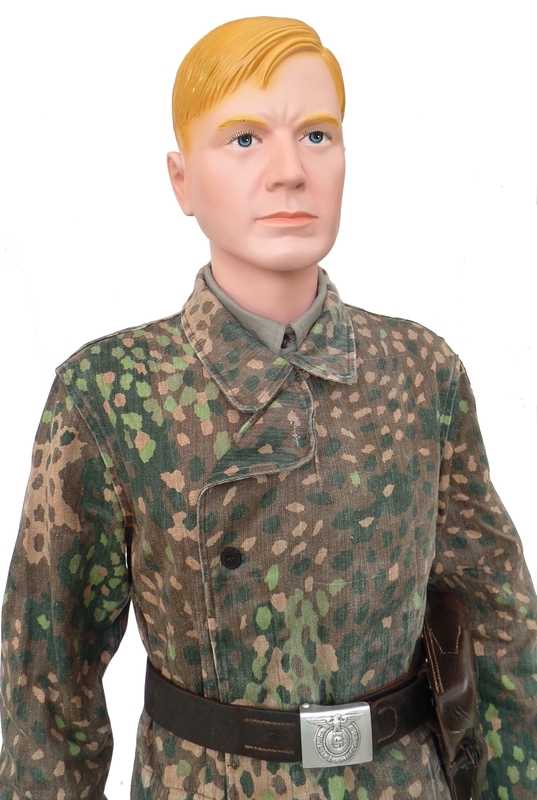 Hand painted face with a very light 5 o'clock light shadow and sharper face outlines. 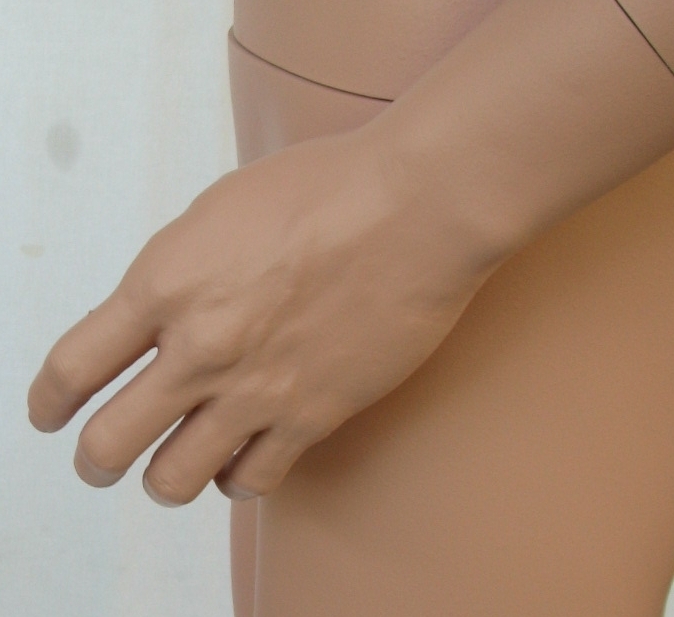 Thermoformable plastic hands (finger moderately bendable by immersion in hot water). 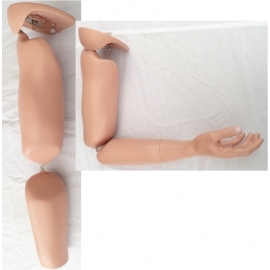 Articulated shoulders allowing the arm to slightly swing. 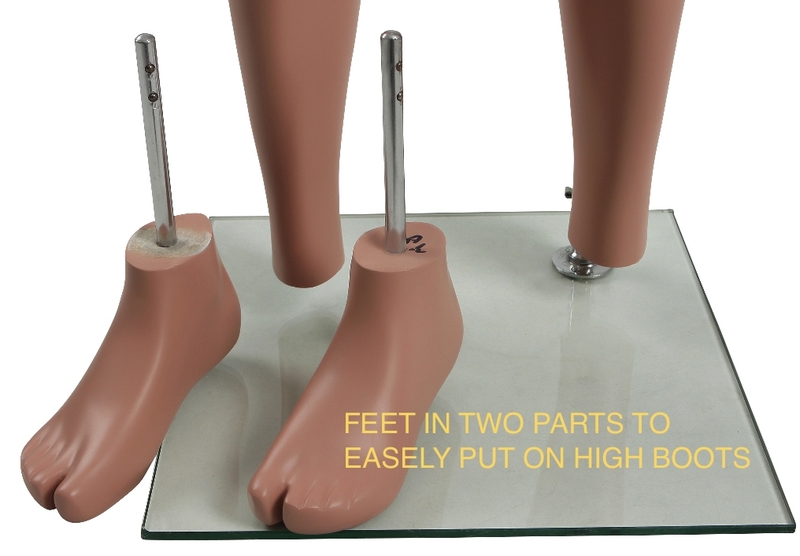 Glass base with one detachable peg that locks into the back of the mannequin's calf. 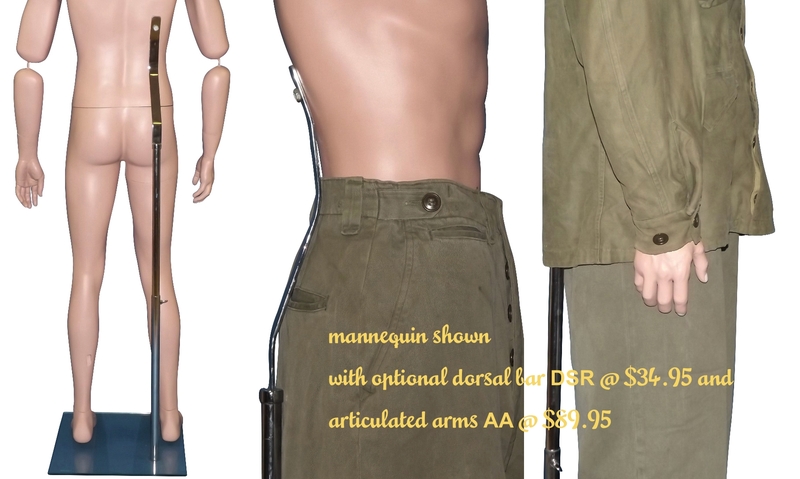 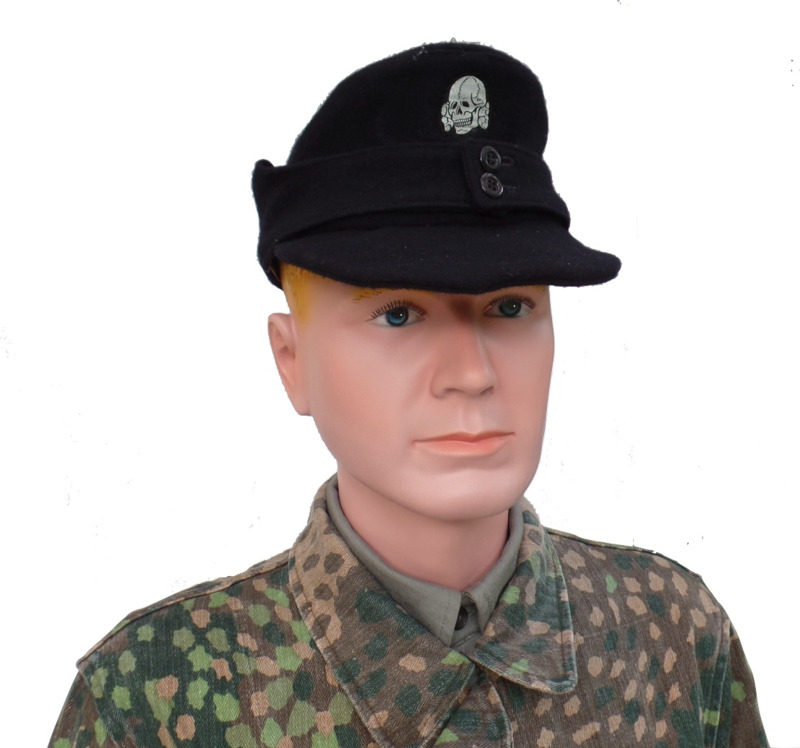 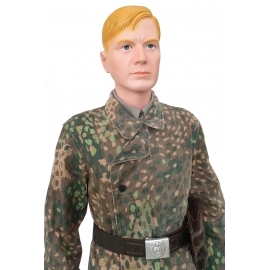 Note that in most cases this MDP16-CB mannequin will stand on its own without the base. 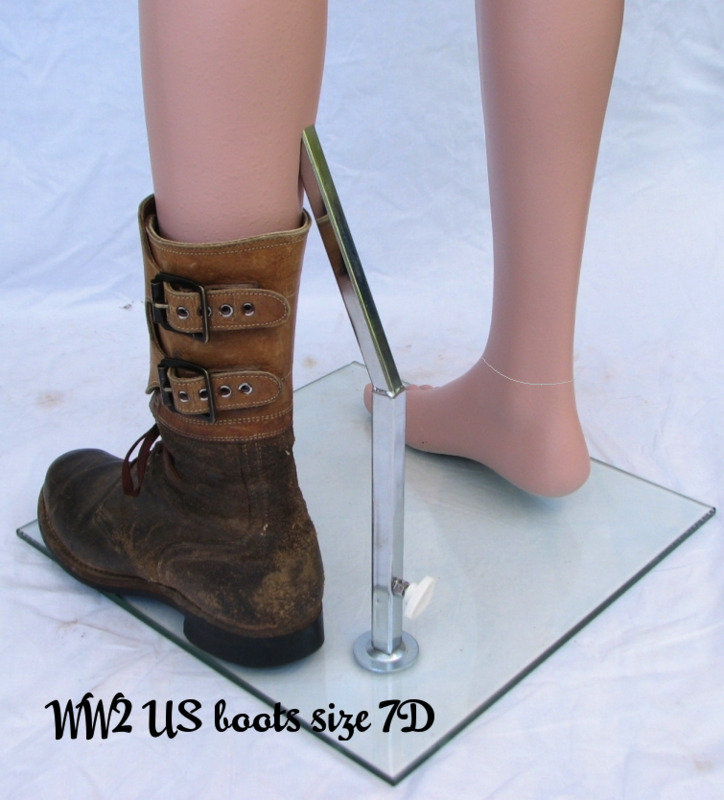 Detachable feet to facilitate the fitting of high boots or shoes. 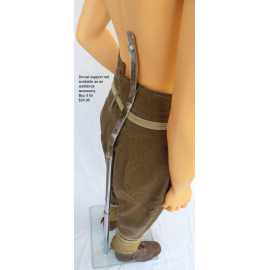 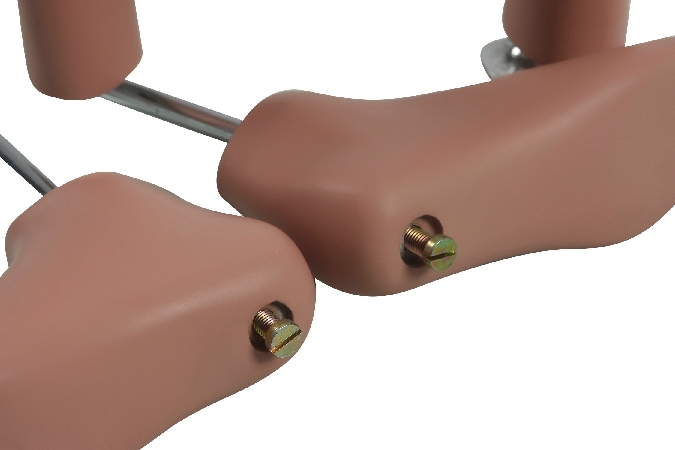 Optional available dorsal support rod to add stability.